Always Have Hope is the tagline of Holly Van Geffen's little blogspace on the internet. 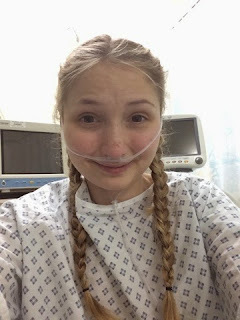 Little would you know by reading her Twitter updates and her selfies that she was somebody who underwent a double lung transplant in February this year. Holly has well and truly grabbed life in both hands since undergoing the operation and now is recovering remarkably well 7 months on! Holly has shared her transplant story pre and post through online journals such as her blog and YouTube channel as well as through the media including a documentary heading to Channel5 in the near future in hoping she can share her story and encourage others to become organ donors in the UK. I hope you'll enjoy reading her small interview out and watch to check out some of her videos and stuff, also check her out when the documentary is released! 1. Holly, can you tell us about your condition pre-transplant? Pre- transplant I had a difficult quality of life, my lungs had deteriorated to the point that they were only functioning at 20% the level a normal persons lungs do. I was reliant on using oxygen therapy to breathe. I could no longer do anything for myself, I couldn't climb the stairs anymore and had to be carried up by my dad or brother. My mum or sister had to help me bathe and wash my hair, brush and dry my hair for me and get me dressed. Even with there help our progress was halted constantly by my unavoidable coughing fits, most ending in me being sick. It was an exhausting process, so much so that by the time I was ready all I wanted to do was crawl back into bed to sleep. I relied on a complex cocktail of antibiotics that were administered intravenously through my portacath; a specialist device fitted under the skin on the breast bone that gives immediate access to the vena cava vein. I had it fitted in 2010 at the age of 18 when after years of poking and prodding my veins had all collapsed and were to scarred to use for IV access. These antibiotics were administered 3 times a day by my mum who had been specially trained to do them so I could stay at home rather than be stuck in hospital permanently. Each session took over half an hour of preparation on my mums behalf and took up to 2 hours to give as many had to be hooked up to a pump that gave them over an hour due to the toxicity of them. Although these drugs were saving my life they were also ruining it with their side effects, constant nausea, fatigue and even permanent hearing loss. If I wanted to go out I relied on someone coming with me to push me in my wheelchair or if I felt I had enough energy to walk I would need someone to carry my oxygen tank as it was far too heavy to carry myself! My independence was non existent at a time where all my friends were gaining the most indolence they'd ever had such as moving out. If I wanted to do something significant like go to a music concert, I would sleep for days in preparation to have enough energy and would be so drained after that I slept for days but it was worth it for that few hours of normality. Life was very hard not just for myself but for everyone around me, we all craved a time would come when I could be healthy and like a normal 23 year old. Cystic fibrosis is a genetically inherited disease. It mainly effects the lungs and digestive system with thick sticky mucus. This mucus is produced in people with CF due to a fault in the gene that controls the balance of water and sodium (salt) in the cells, resulting in not enough water in the mucus so it is abnormally thick and sticky. The mucus in the lungs provides the ideal conditions for bacteria to grow and thrive. The bacteria are clever and like to mutate constantly so often they are resistant to many antibiotics making treating them extremely difficult. The more infections you get the more damaged your lungs become, the damage is irreparable and so over time your lung function deteriorates to a point where you need a lung transplant. It is important to note that a person with CF has to carry out daily treatments to try and shift the mucus in their lungs through physiotherapy methods in an attempt to stop a breeding ground for bacteria. They also have to take nebulised antibiotics and inhalers to try and kill bacteria and also reduce inflammation as that can cause tightening of airways and therefore shortness of breath. The other place the mucus likes to hand around is in the tubes that connect the pancreas to the stomach. These are pretty vital tubes as they are the ones enzymes travel along to enter your stomach to digest the food inside. Because however our tubes are blocked no enzymes reach the food in our stomach which without enzyme therapy would result in malnutrition to the point of death. Every time a PWCF eats fat or protein they have to take an appropriate amount of enzymes that are in capsules to swallow before, during and after a meal to mimic normal enzyme release. Although the enzymes are life saving they aren't perfect and never will be an exact equivalent to a normal persons, therefore our absorption of nutrients still isn't as good as a normal person meaning trying to gain weight is a constant battle, most peoples dream but for most of us a nightmare, due to infections and drug side effects our appetites are often poor and therefore we suffer from being underweight which can severely count against us in the fight for being healthy. Because of this struggle with nutrition many, myself included opt to have some kind of overnight feeding via a gastrostomy (PEG) or nasogastric (NG) tube. A gastrostomy is a permeant tube placed directly into the stomach and a 'button' is placed on the surface of the stomach to access and give the feed. A NG feed is a much less invasive option where you learn to put a thin tube up your nose and down the back of your throat into your stomach, the tube can be put in and taken out whenever you please. I favoured the NG option. The complexity of CF means there is still no cure for what is a life shortening and brutal condition. 3. Why was it vital for you to have a transplant? It was vital I had a transplant as my lungs were in failure, I had 22% lung function and you qualify as needing a transplant at 35%! It was deemed my quality of life was at a low level and would not improve but simply get worse if I did not receive a transplant. I was told that the next infection I got would most likely kill me and so time was of the essence to get me transplanted before a new infections hit my already bacteria infested lungs. 4. Reading your blog it's clear to see your transplant journey had a few bumps along the way, is it common for this to happen? My transplant journey was anything but smooth but what I learnt is that there is no normal in the transplant world. Nothing is predictable and no two peoples experience is the same. I think it is impossible to tell anybody what it will be like when they have a transplant because due to the huge surgery it can have many different and unexpected effects on your body. All I can say is that despite feeling rather horrendous for over 6 weeks and wondering what on earth I had done to the point of almost wishing I hadn't had a transplant, a light finally appeared at the end of the tunnel and things did get better and I can look back and say I would do it all over again if I had to because it was worth it for even a day of being able to breathe without struggle. 5. Was it important for you to blog your transplant, if so what was the purpose? It was very important to me to blog about my transplant experience. I wanted a record for myself of the monumental decision I had made and how it would pan out but also for other people in the same situation to read so that they didn't feel alone. I think it has also helped friends and family understand what has happened and maybe answered questions in that they didn't feel comfortable to ask. Finally I wanted to broaden my ways of creating awareness of cystic fibrosis and organ donation aside from my Youtube videos. 6. How has your recovery been from transplant and has your condition been considered 'cure' by receiving a transplant? My immediate recovery from transplant was slow and painful, I was in hospital for 9 very long weeks but like I said there was a light at the end of the tunnel and when I got discharged back home that light became the brightest light I'd ever seen! I was motivated to get out and exercise regularly on my bike by the place I had to compete in the national transplant games! I also relished being able to cook for myself and have rediscovered my love of cooking and healthy eating. I have started back at work one afternoon a week and will be starting 2 days a week later in the autumn. The only medical treatment I require each day is a handful of tablets 4 times a day which I will take for life to stop my body rejecting the transplanted lungs. I am not cured of cystic fibrosis and most likely never will be, the rest of my body still has cf, I still take enzymes for my digestion and I still take tablets to protect my liver and bones from cf related liver or bone disease. There is a chance as I get older I will also get CF related diabetes as my pancreas loses even more of its functions. My lungs however are cured of CF, they never will become cf lungs because as new cells grow they will grow from the DNA of the transplanted lungs which is normal and healthy. I do have to monitor my health very carefully still and always be aware of developing any symptoms of an infection or rejection both of which are a risk to the transplanted lungs and require medical expertise. 7. Recently you took part in the Transplant Games which is amazing post-transplant, what was the highlight of that experience? I was very lucky to be allowed to compete in the transplant games despite being a month short of the usual 6 month post transplant competitor rule! My consultants were so pleased with me they decided to over look the rule and encouraged me to take part in moderation. With their blessing I took part in a 5km cycle race a 3km walk and a 100m sprint relay. For me the highlight of the games was the incredible warm feeling you got in your heart knowing that everyone you met had also been saved by a transplant and the general feeling of gratefulness we all felt to be alive and able to compete in an event like the transplant games. Taking part in the opening parade through the city centre of Newcastle filled me with so much pride and emotion that there have been and are so many selfless heroic people that are our donors. 8. What does it mean to you for more people to sign up to be a organ donor? For me, more people signing up to be donors means there is hope. Isn't it just incredible that 9 lives can be saved by a single person when they die and that the family of that person can take comfort in knowing that. When a person dies their light goes out so to speak but the glow lives on in all the recipients of that donor who will be eternally grateful for the gift of life they received. 9. Do you have any advice for those who struggle to make the decision whether to or not? Lots of people struggle to make the decision to sign up to be a donor. My first question to them would be 'Would you receive an organ if you needed one to save your life?' if they answer is yes then I think you should be willing to give an organ! I think lots of people worry about how they will look after being an organ donor but they should know the upper most care and respect is given to all donors and the operation to take the organs is done by a specially trained retrieval team who minimise the amount of cuts needed to access the organs and they sew the wounds up like they would after a normal operation. You will not look any different. The only difference is that your organs are saving another life instead of being eaten by worms and rotting in the soil or being burned in a furnace at the crematorium. When you have been the recipient of an organ you are given the option to send a letter of thanks to the donor family which is something I am in the process of doing and something everyone I have met has done in an attempt to put into words the eternal gratitude to them and their loved one for making the decision to be a donor. 10. 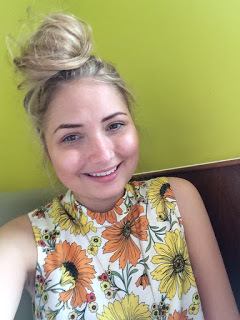 Is there anyone you've connected with and met through blogging that has undertook a transplant or awaiting? Yes I have, I initially 'met' most of them on twitter and got their blog links from there. Thanks to Holly for giving time out of her busy schedule to take part in my blog this week. You can find her links below so please check it out, I've left a video below which she did a few months ago telling her transplant story and features a very missed Emma Kingston who passed away two years ago and also raised awareness of organ donation.